There is something about soft cookies that just get me. 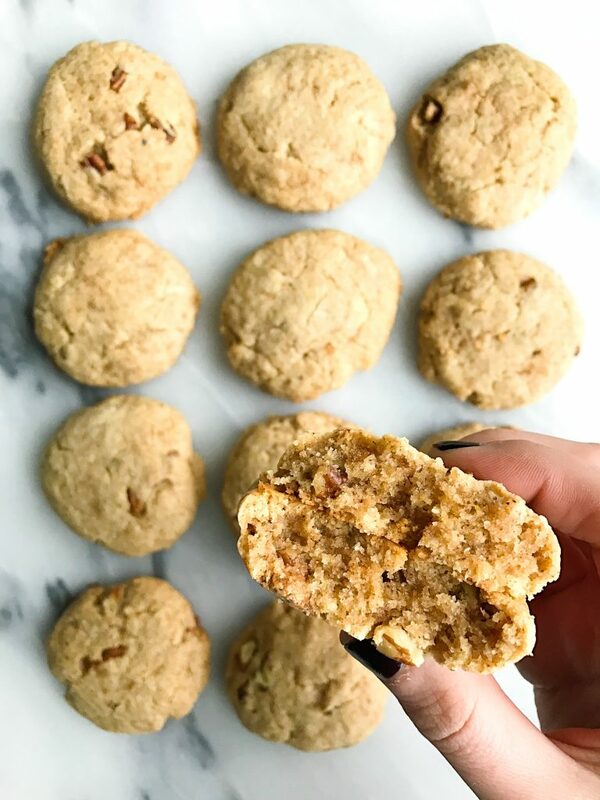 Literally I am a sucker for cookies in general but those soft pillowy ones just hit da SPOT every single time, and these Super Soft Paleo Maple Pecan Cookies do just that. There are very few cookies I enjoy that don’t have chocolate in them. And I have to say, this may be the first cookie I really enjoyed for dessert that satisfied my sweet tooth craving without chocolate in it. 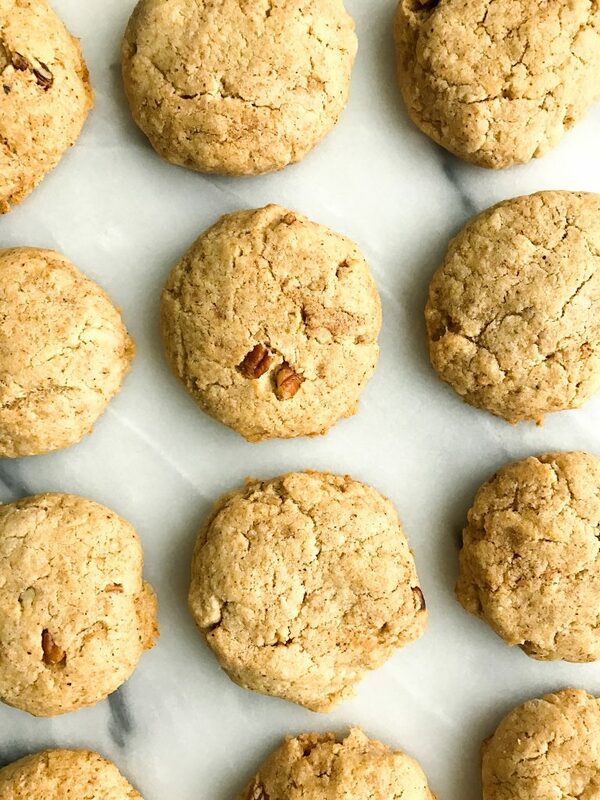 But that just shows you how dreamy these maple pecan cookies really are.I was inspired to make these when I discovered maple sugar a couple months ago. Basically it is the same taste as maple syrup but in a sugar form. I don’t keep white sugar in the house unless it is in a specific product and usually bake with coconut sugar, maple syrup, dates or honey. Maple syrup is just the new item to add to my list. Maple sugar does indeed add a maple-y taste though so prepare yourself for a little pancake meets waffle reminder when you use it. It is also lighter in color unlike coconut sugar so the cookies aren’t as dark as when we use it. I brought some of the leftovers to my Flybarre instructor last week and they LOVED. After giving two away though, I was done letting everyone try these gems. That is until my parents got a hold of my stash and my dad couldn’t stop raving about them. I feel a sense of accomplishment when the king of desserts, my dad, enjoys my clean-treats. I do not recommend subbing another flour for almond and arrowroot flour, these compliment each other really well in the recipe! If pecans aren’t your thing, sub any nut you prefer! I’ve never actually seen Maple Sugar, but I just got some almond butter sweetened with it, and it’s SO SO GOOD! 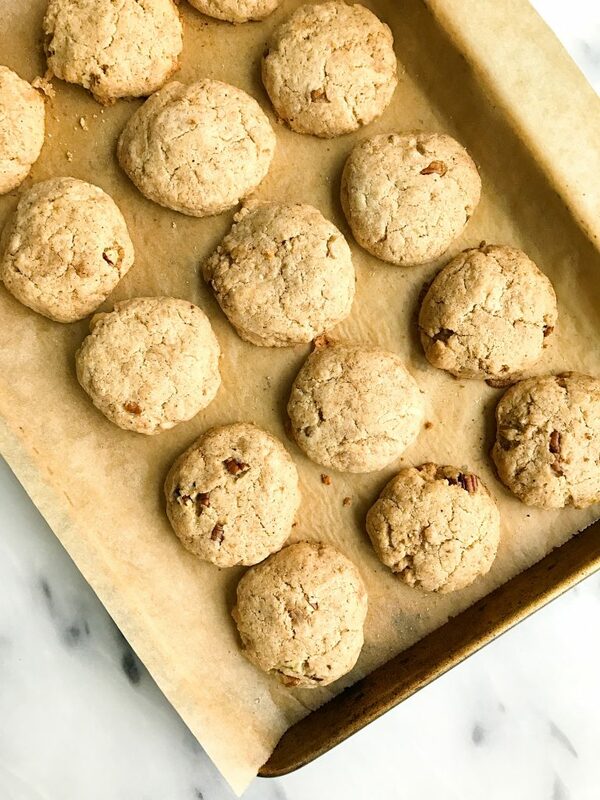 I would love to try some maple sugar cookies. Soft, fluffy cookies are wayyyy better than crunch cookies in my opinion! These cookies look like little maple-pecan flavored clouds! Do you use Bob’s Red Mill arrowroot powder? Do you know if that’s organic? Could you sub maple syrup for the maple sugar?